Пневматични такламити Съдържа 1 продукт. In order to minimize the wear of our machine parts, lubrication is necessary. 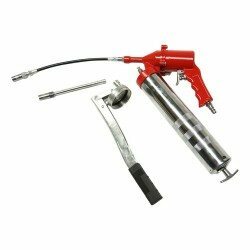 We offer pneumatic operating grease equipments for this, Independently or in set, hand and larger tank design. Thanks to different designs, it can reach the most problematic spaces. For daily maintenance of machineries the right lubrication is necessary.